President Trump’s proposal to cut the corporate tax rate from 35% to 15% could benefit various industries and sectors throughout the country. U.S. based businesses with a domestic focus would benefit the most including retailers, telecom companies, regional banks, restaurants and health insurers. Domestic based companies have about a 35% tax because they lack lower overseas operations taxation. Standard & Poor’s estimates that highly taxed companies could see a 30% increase in after-tax earnings if the top corporate tax rate falls to 15%. Not only may corporations attain higher profits, but consumers may also enjoy lower prices should some of that profitability be passed on to consumers. The proposals also include a one-time amnesty rate of 10% for U.S. companies that have an estimated $2 trillion in profits trapped outside the United States. U.S. companies have been discouraged from bringing these profits back to the U.S. because of the current 35% tax rate. Proceeds from the repatriation of $2 trillion into the economy could result in job creation, manufacturing, and increased dividend payouts for shareholders. 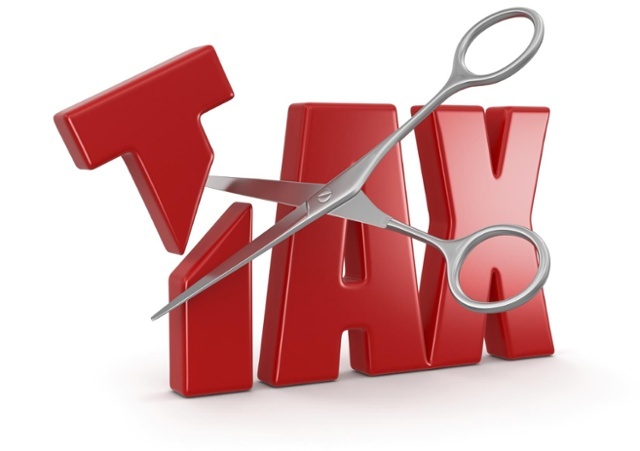 Pass-through businesses stand to see a generous tax reduction under the proposals. Sole proprietorships, S corporations, limited liability companies (LLCs), and partnerships are considered pass-through businesses. The proposal has become extremely popular with these entities because they currently employ more than 50 percent of the private sector work force and account for roughly a third of all private sector payroll.